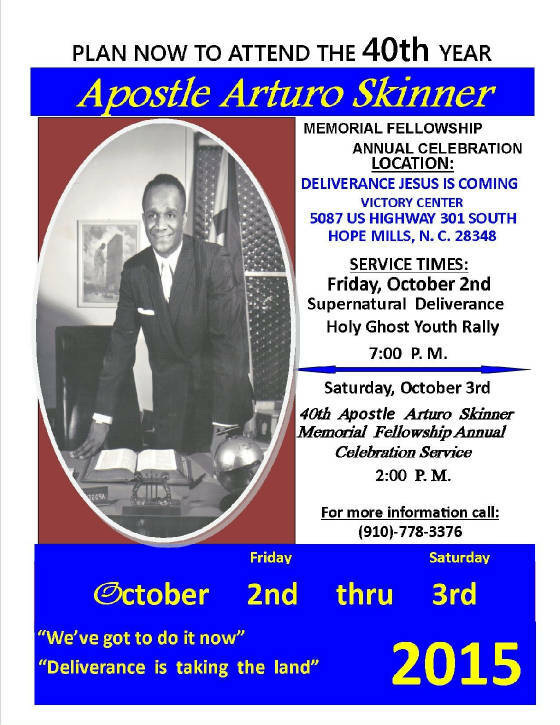 BE SURE TO ATTEND APOSTLE ARTURO SKINNER ANNUAL MEMORIAL FELLOWSHIP CELEBRATION SERVICE October 2 & 3, 2015. A BLESSED EVENT, YOU SHOILD NOT MISS! 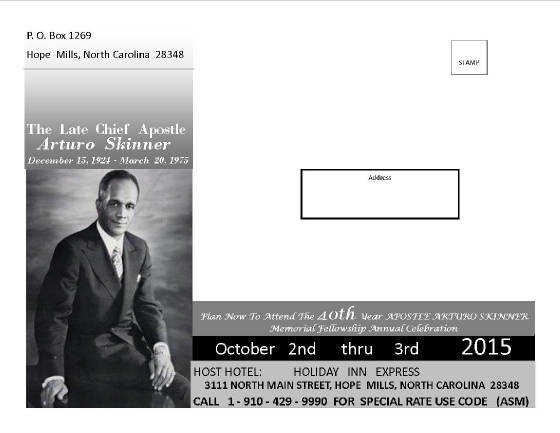 SPECIAL HOTEL RATE CODE IS ASM, SEE YOU THERE!